A little while ago, I posted a review concerning a few sets of photo magnets I ordered off of CanvasPop.com. While exploring the site, I realized that the print shop didn’t stop short at magnets or canvas prints. 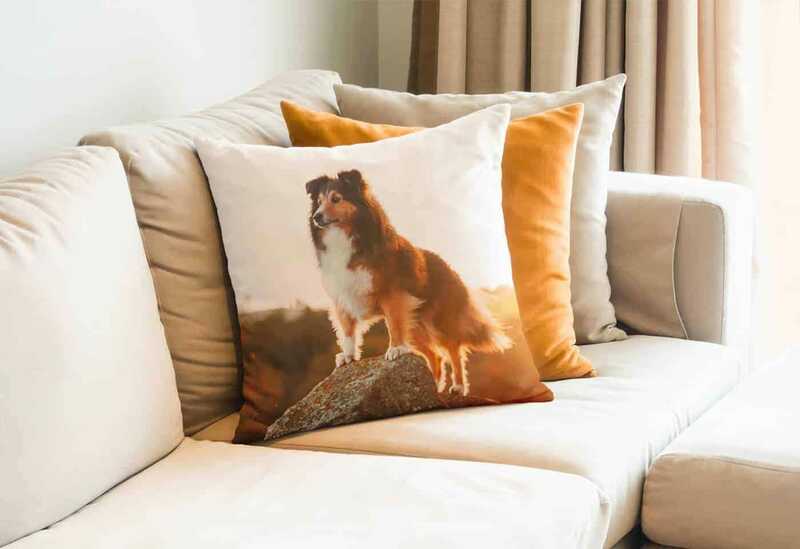 In fact, the site recently expanded on their product selection by adding on customizable photo throw pillows. When my magnets shipped and I got to see and feel them firsthand, they left me impressed. Naturally, I wanted to see if the company put the same level of quality and care into their other products. That led me to order a couple of brand new pillows, which will be the subject of today’s review. At $39 USD per throw, CanvasPop’s photo pillows are a little pricier than other similar products on the market. However, I was still willing to give them a shot. Frankly, many of the less expensive custom photo pillows that I’ve encountered in the past fell short of my expectations. Some simply weren’t built for the wear and tear of everyday use. Others had issues with poor print reproduction. My hope was that, by paying a bit more up front, I could get something that would serve me better in the long run. As I mentioned in my previous CanvasPop review, the website itself is clean and easy to use. It took very little effort to find information on the throw pillows and work my way to the content creation page. That being a said, there are some minor differences between the site’s individual gift customization pages. 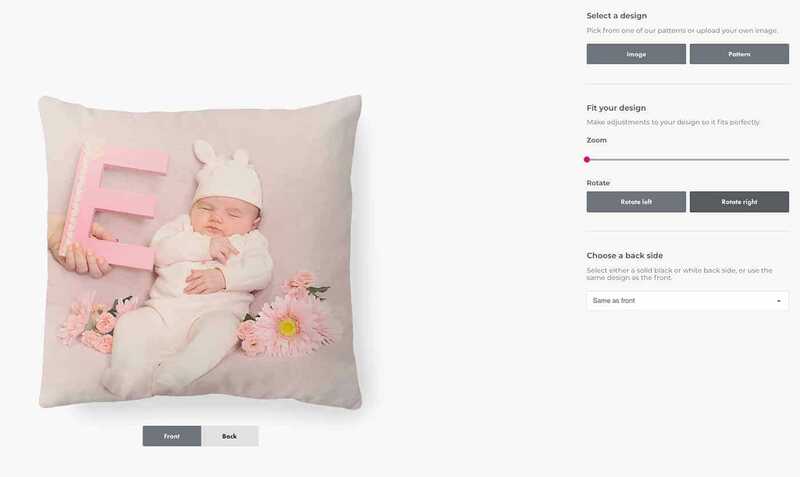 For starters, the print shop allows users more freedom to personalize with pillows than it does with some of its other gift options. Upon uploading an image, a preview of the pillow is generated. From there, it’s possible to zoom in, rotate, and readjust the shot so that it fits perfectly in place. In addition, users can differentiate the front of their pillows from the back. I chose to mirror the front of my pillow, creating identical sides. 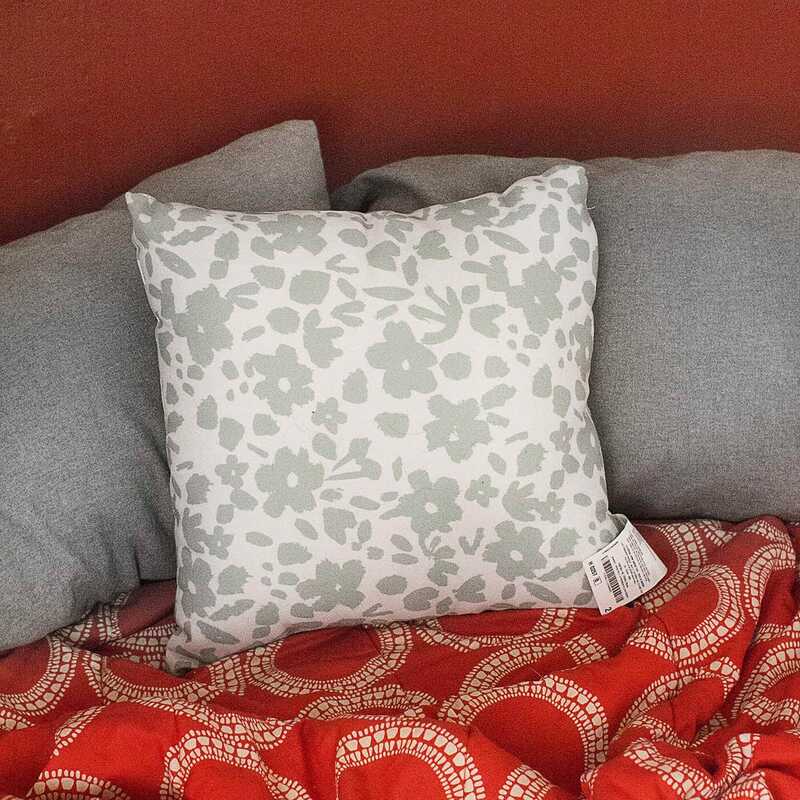 However, it is possible to apply a solid color block to the back side of any pillow. After just a few minutes of tinkering around, I was able to easily place my order as CanvasPop guided me through the process of punching in my shipping and payment information. From there, all I had to do wait for the pillows to be delivered to my doorstep. As was the case with my magnet set, the printing and shipping process itself took a little bit of time. For those working with a deadline or otherwise in desperate need of a pillow, opting into an expedited option is recommended. A little while ago, I did an impromptu newborn shoot as a favor for a close childhood friend of mine. 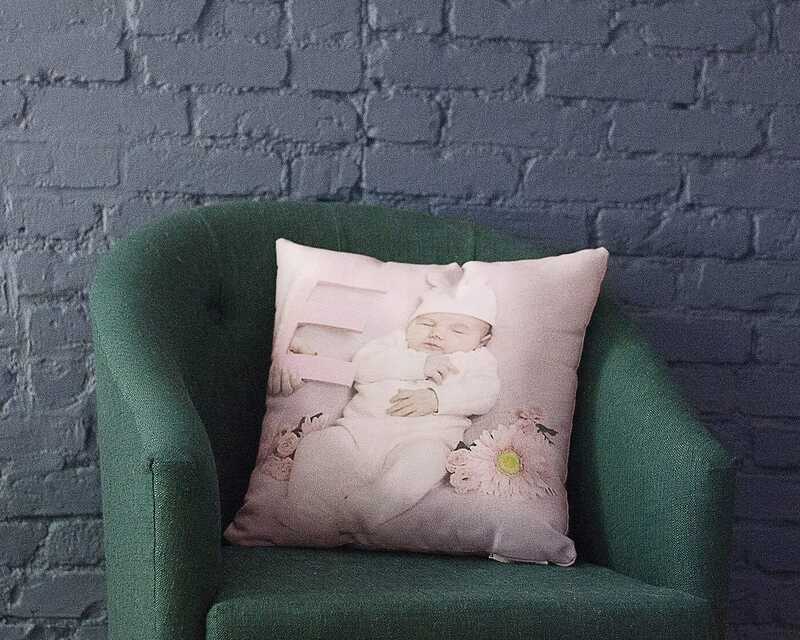 My thought was that a photo throw pillow featuring baby Evelyn would be a great addition to the overdue prints that I had promised to deliver. So, I uploaded one of my favorite stills and anxiously awaited results. My immediate first impression was that the pillow itself was much larger than I had expected it to be. While it did indeed measure in at an even 18×18 inches, I didn’t realize just how big that was until I was holding it in my arms. What’s more, it was packed to the gills with a recyclable stuffing, making it a fairly substantial pillow suitable for any spur of the moment cat nap. CanvasPop did an excellent job of retaining the image quality of the original JPEG submitted. Of course, since it was printed on fabric, the image isn’t 100% sharp upon close inspection. However, it’s certainly clear enough to be able to discern all of the image’s elements. Plus, the beautiful woven texture more than made up for any sacrifices to my photo’s clarity. My one slight criticism is that the colors in the photo seem washed out, specifically in the skin tones. Since I was already working with a very pastel palette, I actually wasn’t at all bothered by this “flaw”. However, those looking for a vibrant end product may want to bump up their file’s hue and saturation before sending their shot off to the printer. Though I didn’t utilize it this time around, CanvasPop has an excellent customer return policy in place to tackle any print discrepancies. Their “100% Love Guarantee” promises to rectify imperfections present in any CanvasPop product. In other words, they’ll either provide a full refund or reprint the product free of charge upon your request. While I was in the process of ordering my first pillow, I noticed that CanvasPop had a few dozen pre-made patterns available to choose from. So, I decided to go ahead and order a second throw pillow from their existing library. Straight away, a floral design caught my eye. 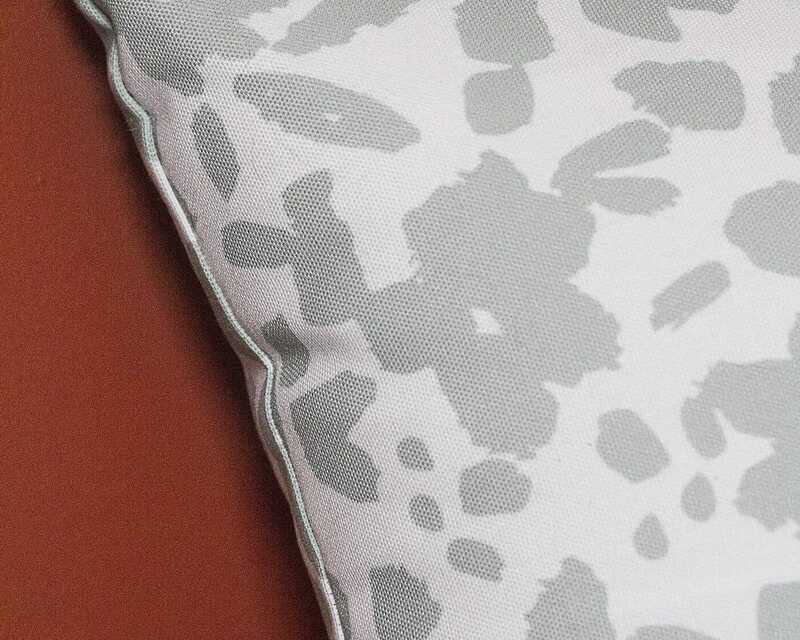 When utilizing one of CanvasPop’s patterns, it’s possible to completely customize the colors being used. Customers are provided with a gamut of thousands of colors to choose between. This makes it incredibly easy to order a piece that fits in perfectly with a room’s existing decor. I chose a sage green and a cream color to contrast against the bright red of my bedroom walls. This time around, I didn’t have any issues with washed out colors – the pattern perfectly matched the eye dropper swatches I chose online. The patterned throw had an identical feel to the first order that I made. The removable cover, made with the same 100% spun polyester blend, felt durable. It had the same beautiful woven texture my other pillow sported. Best of all, it had the same firm yet snuggly stuffing. Without a doubt, my second shipment was prim and presentable as well as comfortable. Once again, CanvasPop exceeded my expectations. Initially, I was admittedly a little bit skeptical due to some prior experiences with photo throw pillows in the past. I had been pleased with CanvasPop’s products in the past, but I wasn’t sure that they would be able to manage a pillow that was both stylish and soft. Both of the pillows I received accomplished just that. The level of care put into crafting each piece is evident. 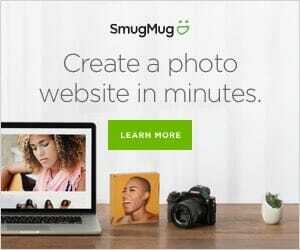 In my opinion, you can count on CanvasPop to deliver – regardless of whether you’re looking for something to match your existing decor or want to make a sentimental gift for a loved one. Order Your CanvasPop Custom Throw Pillows – use code “PHOTOWORKOUT” for 45% off!